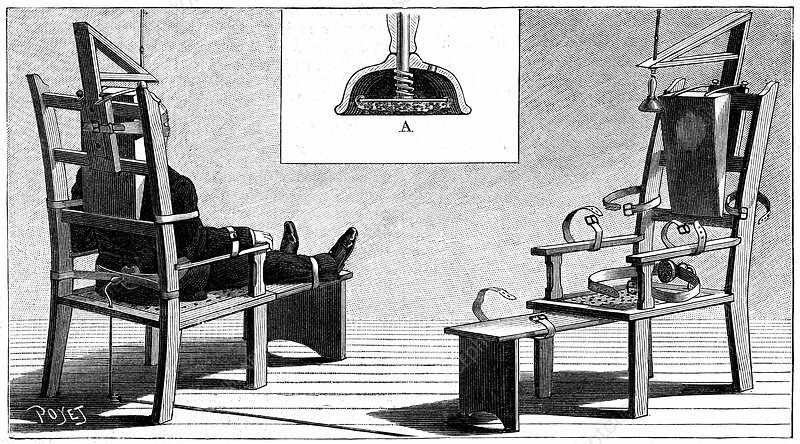 Execution by electric chair, 1890. The first execution by electric chair was carried out at Auburn Prison, New York, 6 August 1890 using a Westinghouse AC system. The man executed was William Kemmler, convicted of murdering his common-law wife. Three surges were necessary to kill him. From La Nature. September 1890).